Home Local News Patriots Depending Too Much On Chris Gayle? Patriots Depending Too Much On Chris Gayle? BASSETERRE, St.Kitts– Could the St.Kitts & Nevis Patriots team be overlying on its celebrity teammate captain Chris Gayle, a celebrated batsman? 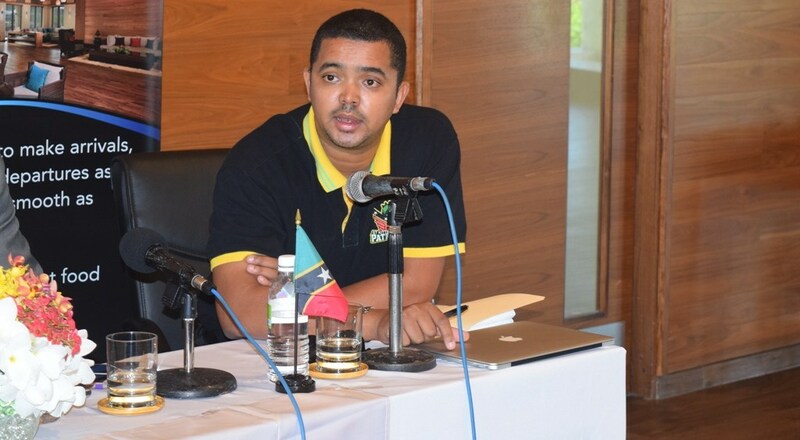 That line of questioning was put to Team Manager and Chief Operating Officer of the team franchise Richard Berridge while interacting with local reporters at last Friday’s cheque handing over ceremony of US$36, 000 to the Patriots from the Royal Beach Casino held at the company’s premises at the St.Kitts Marriott Resort in Frigate Bay. Berridge was asked specifically: With Chris Gyale as the captain do you feel that there might be a sort of over reliance on his performance rather than a spread of good performance from the team? In his response, he told: “I think that is the first thought that comes to everybody, especially with the fans when hear Chris Gayle’s name everybody just sort of think of him in term of being able to win all the games. No sport, you can’t have a team that’s reliant on just one person. In December 2016, Gayle of Jamaica, who previously led his home team the Jamaica Tallawahs, signed with the St.Kitts & Nevis Patriots. Leading that team in all four editions of the Hero Caribbean Primer League (CPL) tournament, the Tallawahs dominated the championship twice in 2013 and in 2016. As part of the 2017 St.Kitts & Nevis Patriots match schedule, four games are slated to take place in St.Kitts this month at Warner Park featuring on Friday 18th August Patriots vs Barbados Tridents, Saturday 19th August Patriots vs St. Lucia Stars, Monday 21st August Patriots vs Jamaica Tallawahs and Wednesday 23rd August Patriots vs Trinidad Knight Riders.